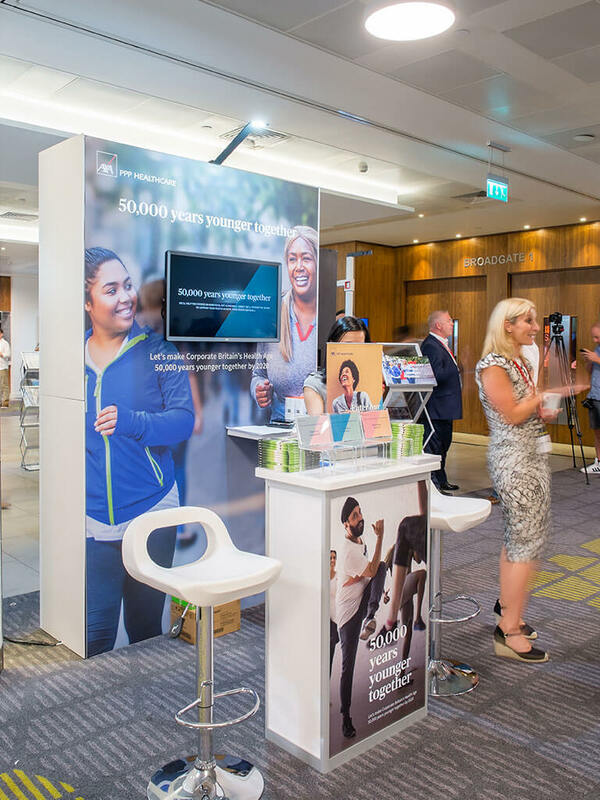 Conference Expo were proud to be the stand solution for the REBA Employee Wellbeing Congress. 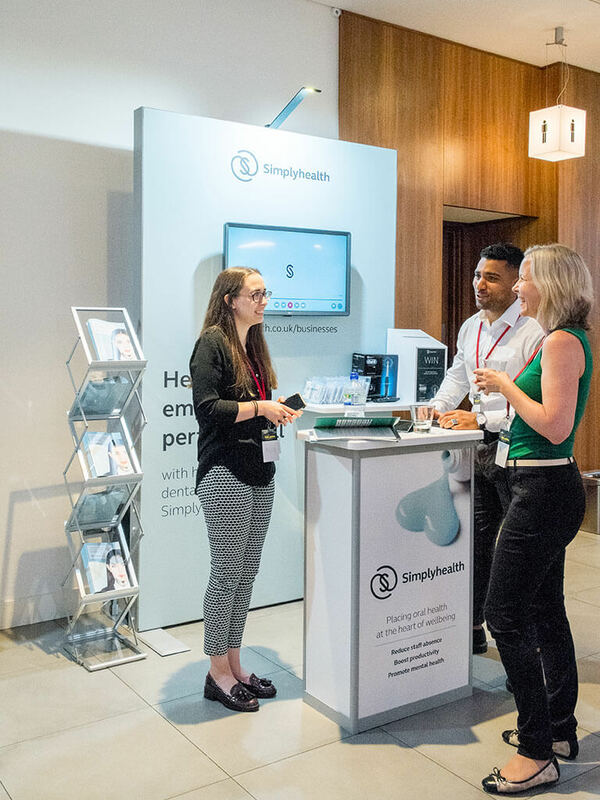 The event, held at 155 Bishopsgate London, welcomed senior HR professionals as they came together to focus on driving the wellbeing agenda within their organisations. 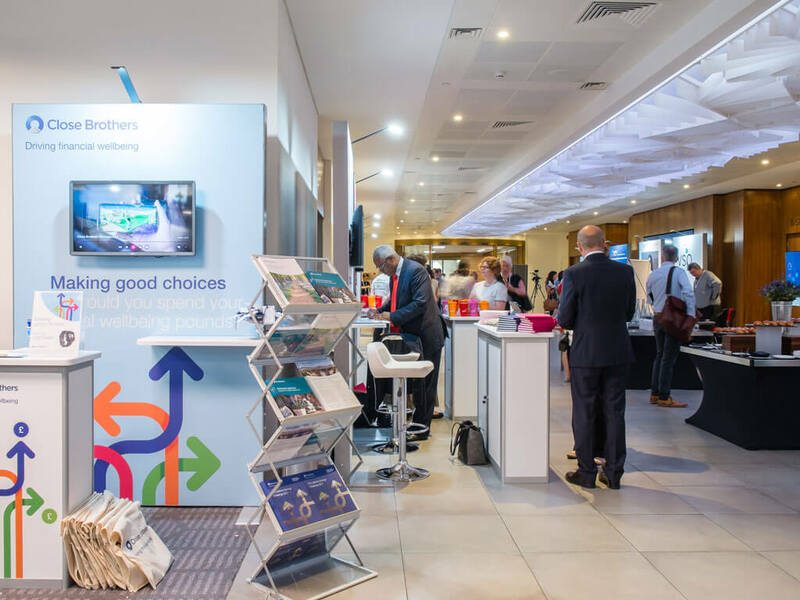 Listen to Phil Hayne, Partner at REBA and industry stalwart as he discusses how Conference Expo enhanced the event exhibition appearance, removed the strain of logistics and provided sponsors with a professional and convenient solution compared to traditional stand options. 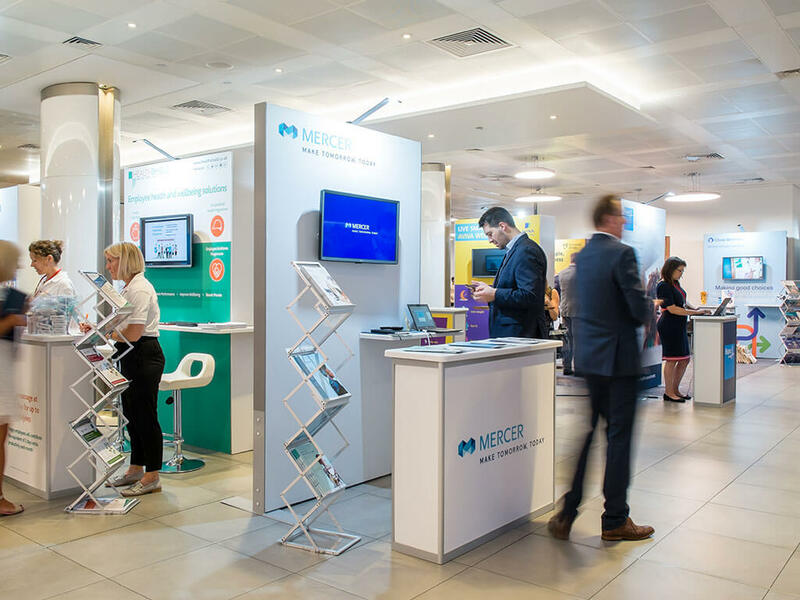 Conference Expo delivered a neat, slick, uniformed solution. 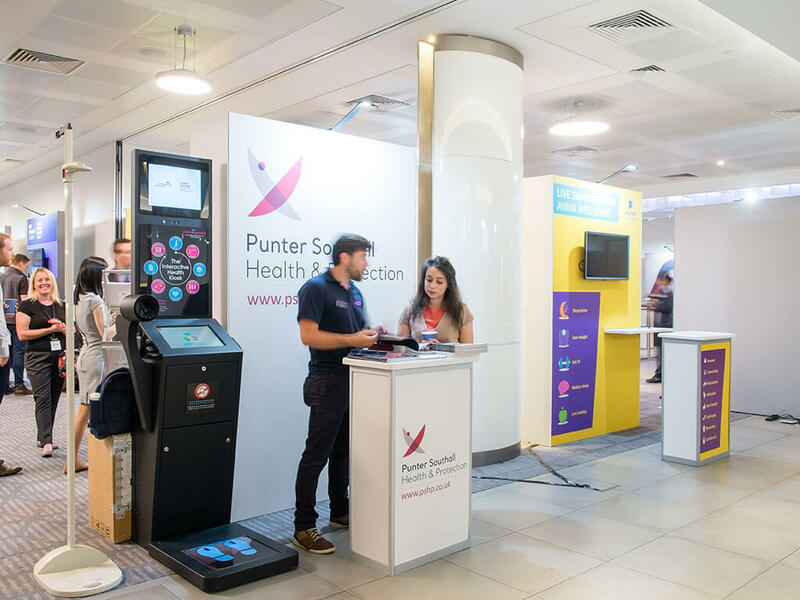 Sponsors were provided with professional and consistent looking stands in keeping with the premium surroundings of 155 Bishopsgate. 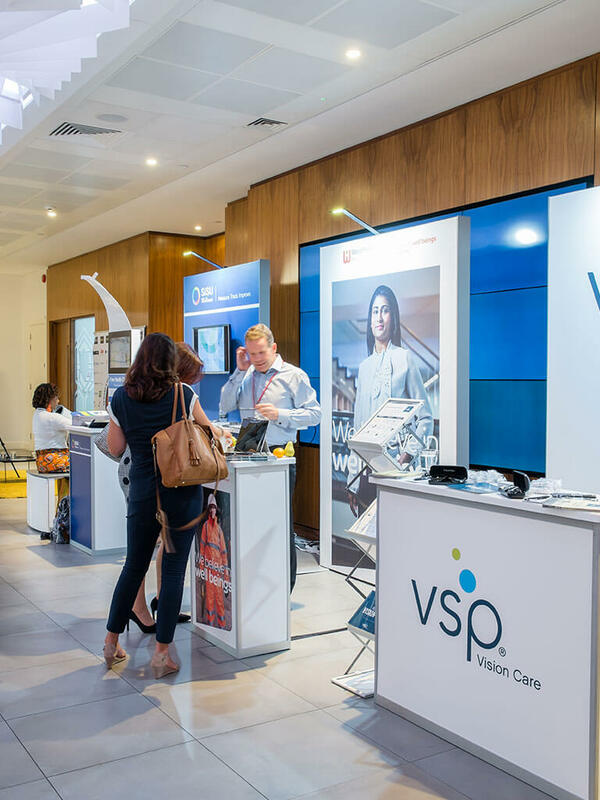 All logistics and AV were taken care of, enabling them to simply “turn up and go”. Our dedicated team provided added value and were on hand to ensure all requirements were met, from start to finish. This meant that the operations team could cut down on the admin/logistics burden allowing the business to run more efficiently.